Discovered in 1965, aspartame is a low-calorie sweetener that is approximately 200 times sweeter than sucrose. Aspartame is one of the most thoroughly studied food ingredients ever, with more than 200 scientific studies supporting its safety. Aspartame offers people with diabetes greater variety and flexibility in budgeting their total carbohydrate intake and allows them to satisfy their taste for sweets without affecting blood sugar. Aspartame is unique among low-calorie sweeteners in that it is completely broken down by the body into its components. Learn more about the production of aspartame and safety precautions around this sweetener. Low-calorie sweeteners, used as sugar substitutes, provide consumers with a sweet taste without the calories or carbohydrates. 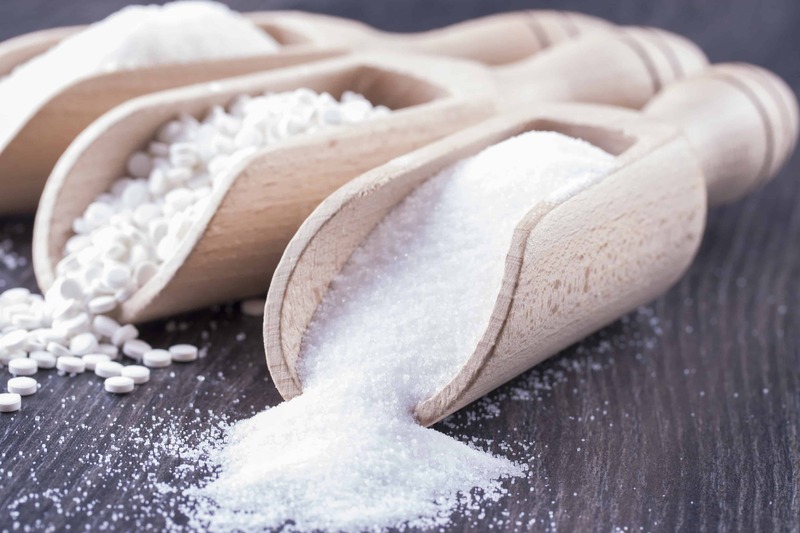 Because these sweeteners are much sweeter than sucrose, the amounts needed to achieve the desired sweetness are so small that they are considered virtually non-caloric. Currently, millions of people around the world enjoy low-calorie, good tasting foods and beverages because of aspartame. Find out more about this low-calorie ingredient. Aspartame can provide a number of potential benefits. Find out more and consider making the switch. Separate fact from fiction on the most common myths about aspartame.